Ookayy, wow, idk how I feel about this book. 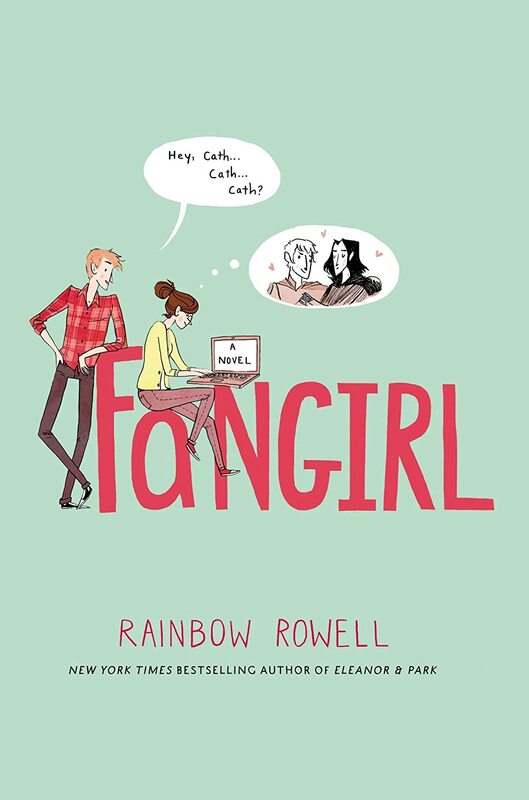 So this story is called Fangirl, so I guess it's meant to be about how Cather (and Wren?) are Fangirls. In this case about Simon Snow (o.O). But I really don't understand. I mean, yes Cath was a Fangirl, and yes she was so obsessed with Simon Snow and Baz that she wrote fan-fiction to express how SHE felt about the characters and the right ending etc. but.......so? I didn't get the point. Firstly, just because you're a Fangirl doesn't mean you write fan fiction. Also, the plot branched out from just being about Fangirls. It was about Cather's life. It was a segment in Cath's life, that didn't have any exact particular significance to Fangirls, at least from what I could tell. o.O So I don't really know what the whole story was about. Was it about how Cath found someone she liked? Was it her getting over her 'craziness', as she called it? Did she even get over her 'craziness'? Was it mending her and her sister's relationship? What happened to their relationship to begin with? (and I still don't know what happened with Courtney and Wren, just throwing that out there) Was it coming to peace with anything related to her (terrible) mother Laura? Idk. Maybe a mix of them all, but I just didn't get the point of it all. And the characters felt so fickle. Like one moment they acted one way, and then the next they were completely different. And I didn't really like that. Cather: Ookayy. So Cath. She seemed to view herself as damaged goods. That ever since Laura (her mother) left when she was emotionally mutilated or something. And she obviously had a lack of self confidence. But she seemed content like that because she was too scared to come out of her shell (praise Reagan at this point). And then she would get all mopey that her sister was the 'Cool One'. Well, honestly it's kinda her own fault. I don't mean to be harsh, but if she just put herself out there, then she would find that there are soooo many people out there in the world, and she doesn't have to rely on just her (only half the time reliable) twin sister to pull her through the tough times. Of course, I'm not a twin so I don't know what it's like to be one, and what it feels like to have that connection, but that's just my opinion. I'm not saying that Cath shouldn't rely on Wren AT ALL. I'm just saying they're not the SAME PERSON. And there will always be differences between them. And thus they should have some parts of their lives that are separate. Otherwise, one of them (being Cather), will probably tend to start to feel inferior. It just seems logical that that would happen. So yeah. I felt for Cather, but she wasn't anywhere near perfect. And she still had lots to learn from life. Reagan: Overall I liked Reagan. She was blunt, and rude at times, but I think she was really instrumental to helping Cather out of her shell. She pushed Cather out of her shell, actually. The only thing I didn't like was the times she occasionally went a little bit bit**y about Levi and Cather. But I guess it would be a little hard to see your roommate and ex-boyfriend together, even if you DID cheat on said ex-boyfriend when he was your boyfriend. Wren: Especially in the first half, Wren is Mean-girl, or the 'Cool One' *rolls eyes*, but then at times she also plays Nice-sister. So I'm like, huh. Well then. She says she wasn't effected by her mum's disappearing act like Cather and their dad was, but I don't think that's true. She just reacted in a different way. All the partying. And life ideals. To have fun at every given moment. She certainly wasn't perfect either. But I can't exactly dislike her because she was just learning too. Laura: I DESPISE the mum. I mean, seriously? Okay, I get it that 'Laura' wasn't happy in her marriage. But not even keeping in touch of your children for 10 years? And THEN, when their childhood is finally ending, when the time that they REALLY REALLY would have benefited from having their mother to look after them has JUST ended, THEN she tries to get in contact. I think that's just pathetic.